Every Tuesday from now on (hopefully) I’d like to post a blog entry about people/things/blessings I am grateful for. There’s actually tons of them it would take a lifetime for me to even get close to half of the list. Needless to say though, I won’t get anywhere unless I start from somewhere. So today I would like to shine the spotlight on my mother, Candelaria Conde Solivio. She won’t be able to read this, but I do let her know how much I love her vocally and in letters. This time I just want the whole world (wide web, that is) to know how great she is. 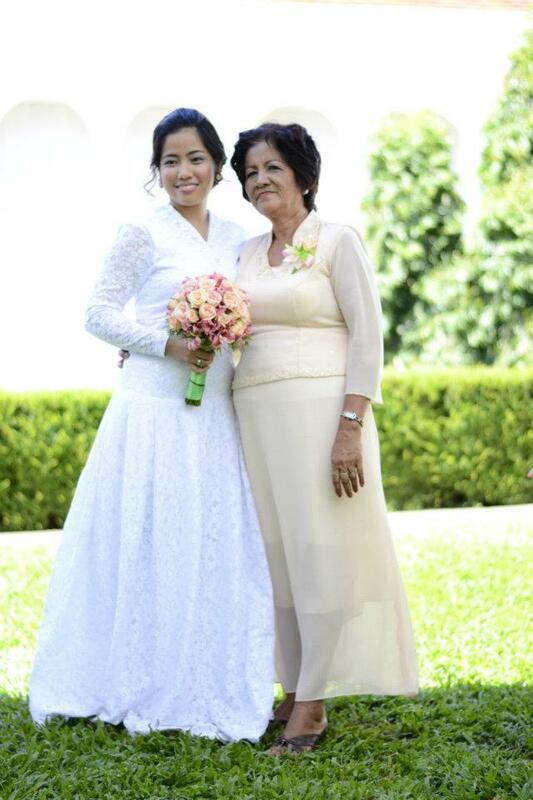 The woman who raised me, Mama, as we call her, is without a doubt the best in her field – motherhood. Let me share a few reasons why. Pride? Time? Work? Relaxation? Friends? Herself? Name it. I’m sure one way or another, she has given up everything that is required for her to take good care of her family. After the death of my eldest brother in 1987, life has been rough for us. Mama needed to think of ways to feed 2 high schoolers and 2 babies (I was one of them ^^), not to mention my father who went through depression and couldn’t work back then. She gave up all earthly vanities and just got up, stared trials in the face and got to work. She did not have a real work, but for about a year, she kept the family together by plain diskarte and some really good pakikisama. She forgives everyone. When people hurt her, she doesn’t hurt them back. She would cry though, a lot. But regardless if the person asks for forgiveness or not, she just forgives. That’s how forgiving she is. There were people and events in her life that caused her unimaginable amount of pain. I would sometimes hear her recall those memories but I never see anger in her eyes. Just sadness. Many people, including myself, ought to learn a thing or two from her about forgiveness. All mothers do, I think. And everyone has this potential. But growing up, Mama gave me the best possible example of unconditional love in action: her life. I will never succeed in putting into words how deeply she shares her love, and shows it in her simple ways. I am blessed to witness her devotion up until this very hour. I am so grateful for having been raised by a wonderful mother. And my child is lucky to have a grandmother like her. It would be an honor to be even half the mother she is. She doesn’t just know best. She is the best. Nice one liz! 🙂 Beautiful blog!